I love chili, especially on cold days. 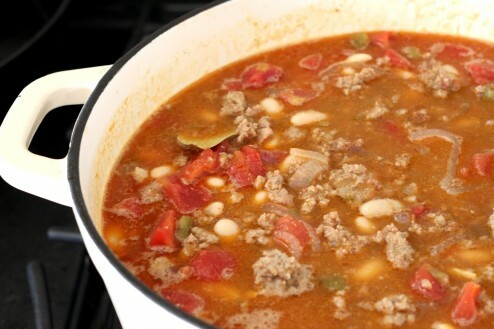 I also like that if you make a big pot of it, you can have many, many delicious meals with little or no effort. 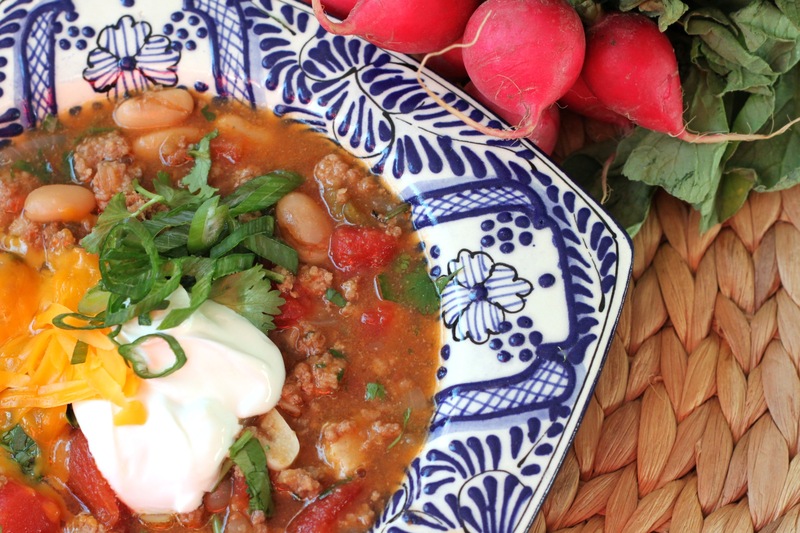 This is a lighter version of my typical beef chili; its made with turkey and salsa verde and I love it. 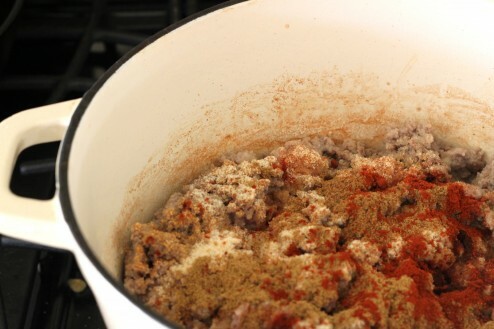 Turkey with all of the spices. I love spices. Adding in the beans and salsa verde which lightens the whole dish. I love bay leaves. They add so much depth of flavor. Let this simmer, uncovered so the liquid reduces slightly. Heat a large skillet over medium high heat, add oil. Once hot (but not smoking), add the turkey and brown. Add in the onions, garlic and all the spices. Cook for 5 minutes. 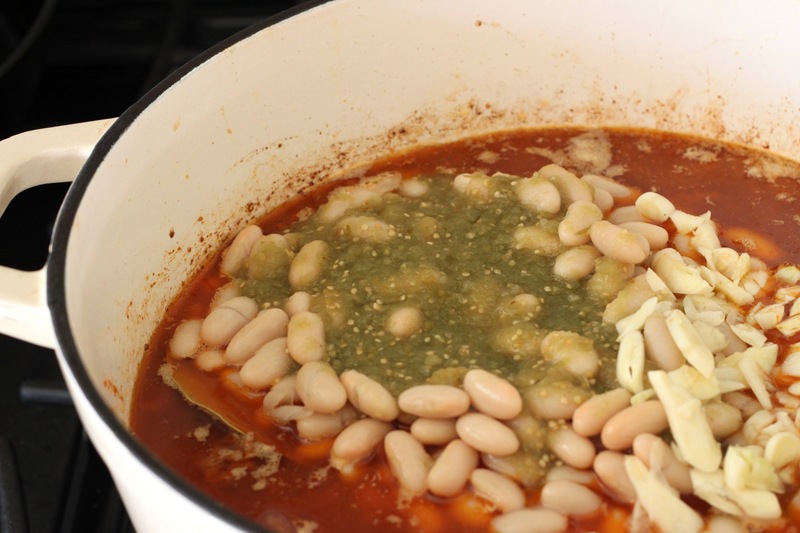 Add in salsa verde, green chilis, white beans, tomatoes, stock and bay leaves. Cook for 20 minutes until boiling; reduce heat until a simmer, stir in cilantro. 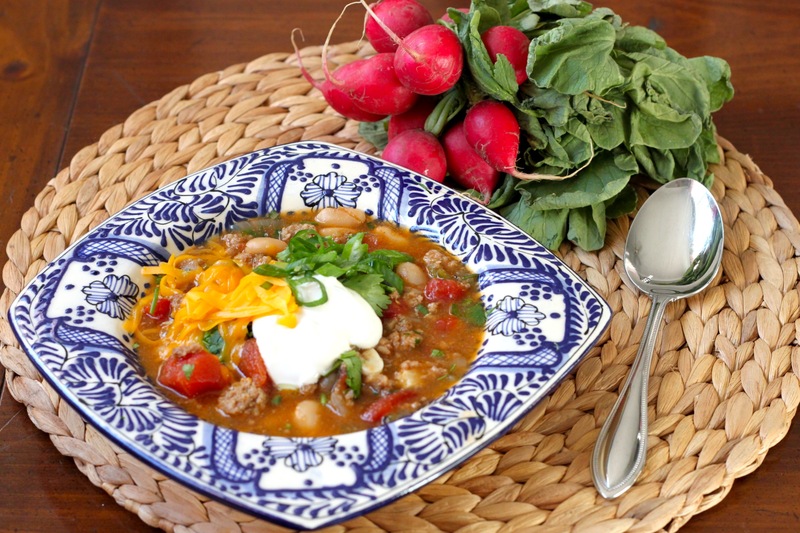 To serve, spoon into bowls, top with sour cream, cotija, olives and fresh cilantro.